Glock guns users have their own favorites among the best Glock accessories and guns. But there is always room for more. All of us crave to learn and know more about our favorite products. We always wish to be updated about all that happens around us. Best Glock upgrades help us to upgrade our Glock guns and accessories which redefine our shooting experiences. The market has a huge set of accessories to offer when it comes to Glock accessories. There are a whole lot of products and you can lavishly spend your hard earned money on several parts of the Glock guns. 1 What are Glock guns? Glock guns or pistols are also known as “Safe Action” guns. Manufacturers in Austria these are semi-automatic guns possessing a polymer framed body. These pistols have been used in Austrian army and police since ages and it has been their favorite ever since. These Glock pistols have also been used for several other purposes like shooting matches and games, self-defense etc. Glock pistols, their designs, and accessories used to improve their working have been paid great attention to since always. The manufacturers have time and again have launched improved versions every now and then. To know the accessories that must best suit your pistol it is important that you first know your Glock model well. The second generation pistols led to an addition on the front as well as the back strap of the pistol. The front strap added on checking and the back strap, on the other hand, added serrations. These pistols were popular by the name of the second generation Glock pistols. These pistols have the serial number engraved on the front end of the receiver. The number is engraved on a plate made out of steel. The initial models came with a 2 piece recoiling spring which in turn was replaced by an integrated one. Slight modifications were made in the magazine. The floor plate was changed and the follower spring was fixed at the base with resistance. The third generation pistols were enhanced with an accessory known as the ‘universal Glock rail’ which further made it easy to mount other accessories like tactical lights and laser lights etc. The front straps were provided with finger grooves and the frame was accommodated with thumb rests on either side. These pistols were added on with an upgraded extractor that works as an indicator of the loaded chamber. These pistols have an added cross pin which distributes the forces of the locking block, which is also made bigger in the third generation models. This is also known by the name of locking block pin. The fourth generation Glock guns were upgraded with modified recoiling springs. The gripping area of the fourth generation pistols is smaller as compared to the earlier designs. The generation 4 magazines can be used with the other older pistol designs. These models are such designed that they can be easily used by left handed shooters too. This is enabled by the reversible magazine release catches. A longer cross pin is used instead of the initial housing pin which is used to accommodate the back strap that imparts distance between the trigger. These fourth generation pistols possess a double recoil spring assembly which enhances the serving life of the gun. The sizes of the barrel shelf, as well as the slide, has been revised and modified. The handle made of the polymer has been enlarged and made wider such that it can easily fit the recoil spring inside it. The trigger area is also changed such that the tiny sized grip can easily fit within the space. Several Glock tactical illumination tools that impart a laser light for clear visibility. To impart clear vision in the dark a night device to impart clear vision is used which works on infrared light. An accessory that imparts light is installed at the bottom of the magazine. Accessories known as maritime spring cups are used when the pistol needs to be immediately used after being dipped in water. External grips to be mounted on the pistol that imparts firm and friction free grip to the user. External grips to be mounted below the magazine that enhances the grip along with keeping the inside dust, dirt, and debris free. 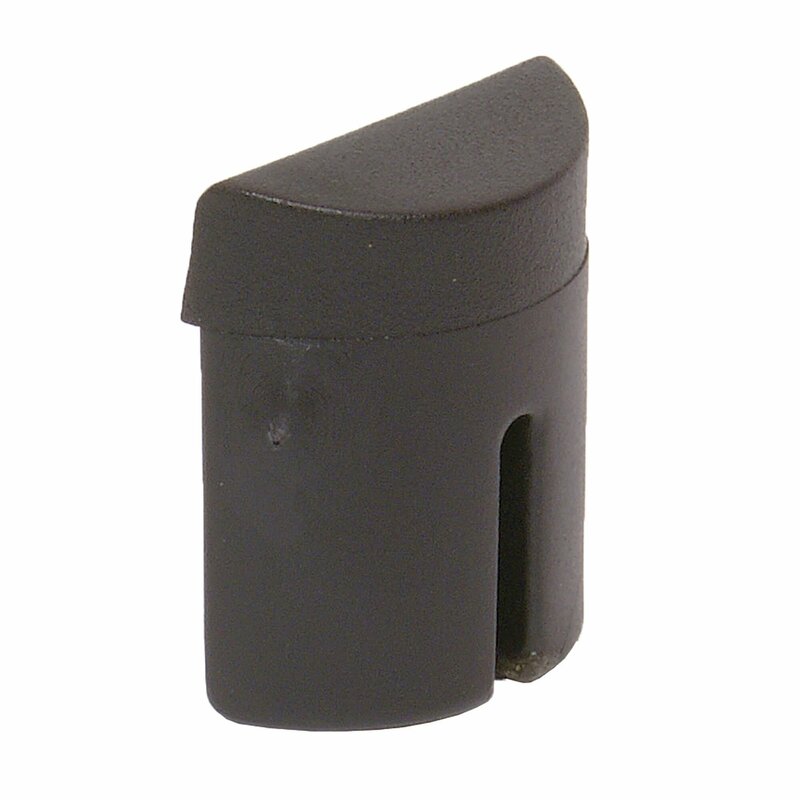 This Glock disassembly punch is a black colored, three 5/8″ sized tool. This pin is strong and made up of metal that successfully serves the purpose that it is manufactured for. These punches are recommended to be used instead of screwdrivers as they might end up damaging the pistol. 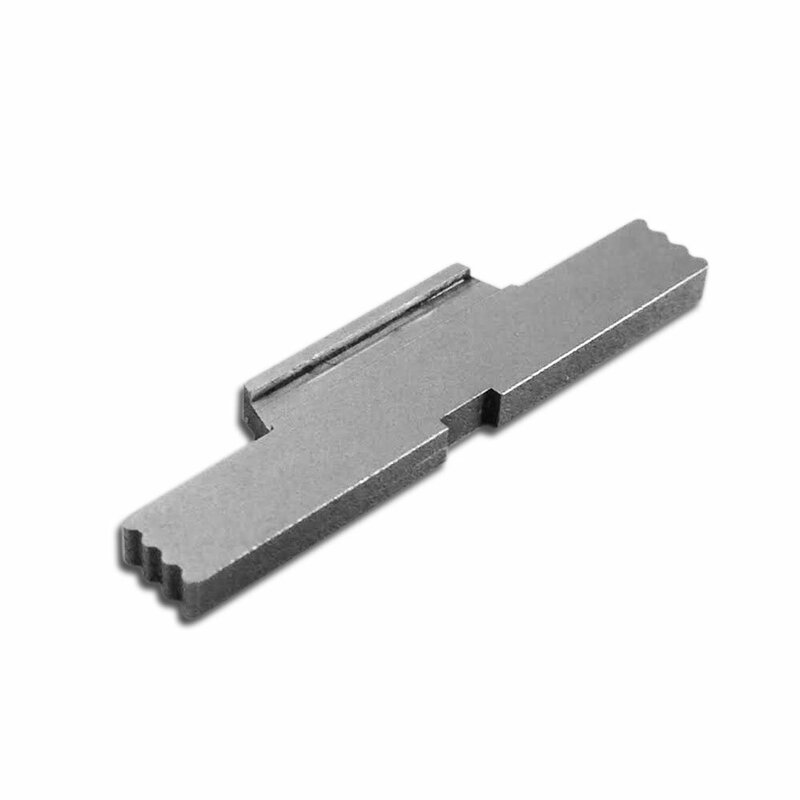 With the help of the Glock disassembly punch pin, the Glock pistol can be easily field stripped. You can easily remove the locking block as well as trigger housing and pins. The punch pin is made up of metal whereas the holder is made up of plastic that gives a firm grip and the user feels much more at ease while using it. This pin is strong and has enough strength such that you can easily take off the base plate. 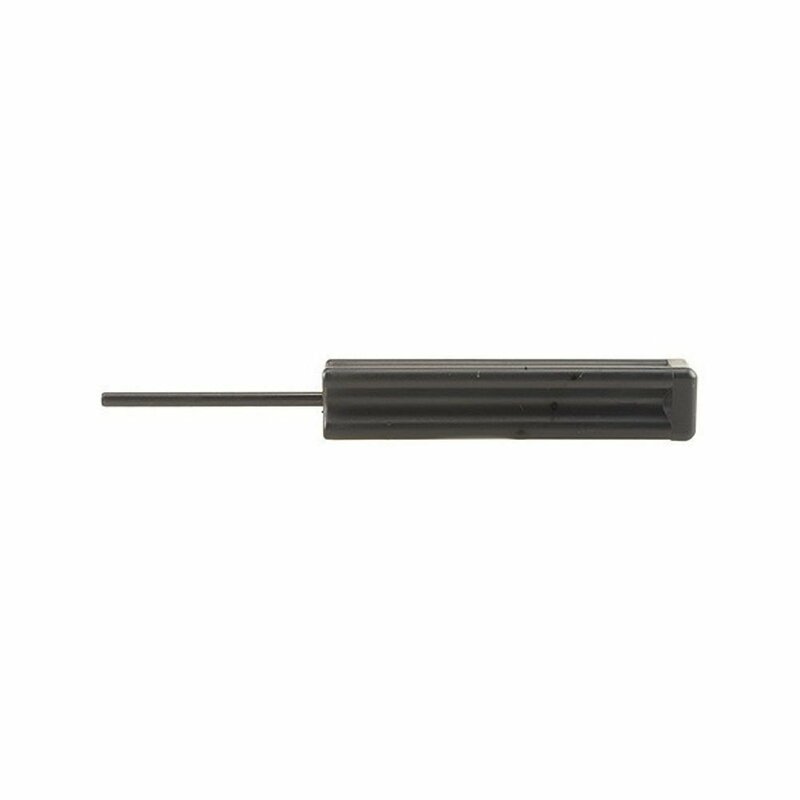 This punch pin works for almost all the Glock guns except model number 42. You can use this tool to push the trigger pin out if you are looking to install a grip. These tools help to remove pins from the main frame of the gun but it does not assist in removing the stock sights. You will require a different tool for this job. Although the pin is made up of metal but it tends to bend if you apply much force on it. These talon grips are must in demand in the USA. These are comfortable wrap around grips available for the Glock pistols. 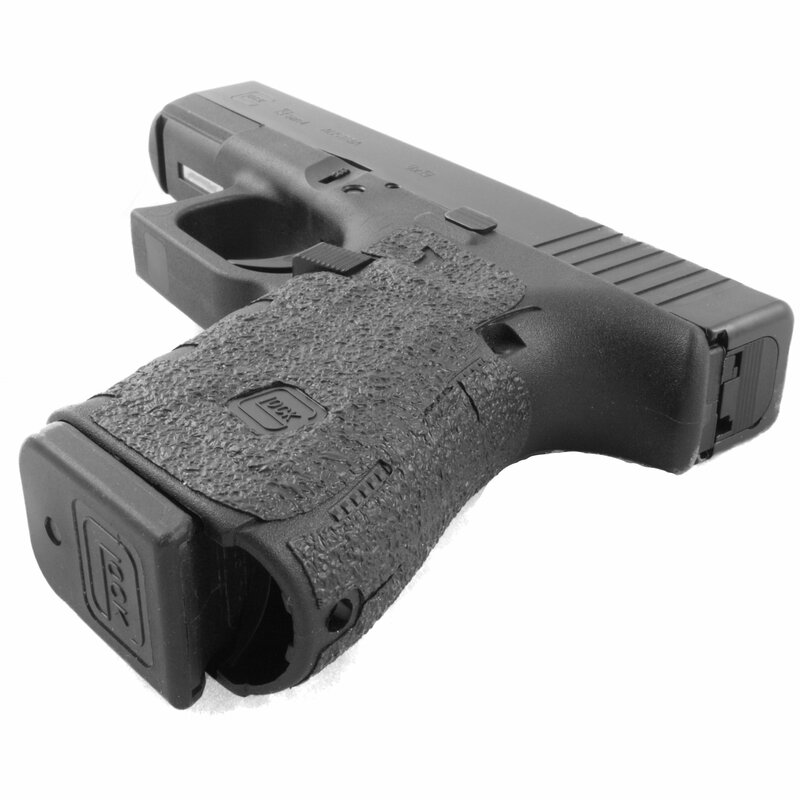 These grips are a perfect pick for the fourth generation Glock pistols. These grips fit easily and do not even increase the thickness of the pistol handle as these are only 0.5 mm thick. They require minute heating post fitting to make it fit firmly. You can easily install them and even remove as and when you desire. The talon grips odder an extremely comfortable adhesive grip to the shooter. These grips are made up of rubber and are generally found in granulated texture that gives a frictionless hold to the user. Though these grips are an additional accessory they do not tend to increase the thickness of the group as there are merely 0.5 mm think. These grips are extremely easy to be installed and save on time. These talon grips are firm as they are made up of rubber and do not contain gluten or lactose. The heating process of the grip using a hair dryer is not very long and within just a couple of minutes the grip is fixed and is ready to be used. These grips are considered amazing by the users as they can be removed as well as reused as and when desired. The material is just enough to get the grip covered. There is no extra material to cover the other parts of the pistol. It is not possible to change the color of the grip. You have to manage with the original color of the product. The Pearce grips are manufactured in the USA to be especially used for Glock model number 42 along with other pistol designs too. These have been such designed that they keep the magazine dust and debris free. Though there is room for improvement as the grips tend to loosen with time but these are still an amazing tool to use. These grips help to keep the magazine clean and dust free by keeping away the debris and dust. The grip imparts a frictionless hold to the user offering a comfortable shooting experience. These grips fit perfectly to the base of the magazine and offer a complete grip to the user. These grips post being attached leave quite some room to accommodate a back strap if you wish to put one. It is very easily installed. You will just have to slide in the grip and it’s done. These plug grips are removable and reusable as per the wish of the user. In case these grips aren’t fixed with perfection they tend to fall out and are mostly lost. The Wiha nut drives are used to either tighten or loosen the front sights of the pistol. These nut drivers offer immense torque owing to its amazing length. The handle of these is easily gripped and remain frictionless all throughout. These nut drivers easily fix themselves through the long side lock openings. These Glock tools can be used with a wide range of Glock pistols. Therefore once you have these in your toolbox you can rest assured to be hassle free. The handle of the nut drive is friction resistant and provides a comfortable handle such that you can work with ease and perfection at the same time. The handle of the nut drive is quite long that imparts a huge amount of torque to fulfill the task it is manufactured for. 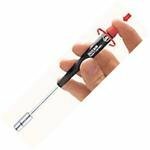 The tip of the tool is highly magnetized which helps you not to lose the screw. These nut drivers work only for the front sights of the pistol and not for the rear sights. These stainless steel slide lock levers are sharp and sturdy tools which impart smooth removal of the slides with ease. Although made up of metal these are very light when installed. These extend the slides and impart easier removal of the slide. These slides locks are made up of stainless steel which is light in weight. These slides can be installed with ease which makes the shooter saves a lot of time. These slide lock levers fit into almost all the models of all the four generations except a few. These make the slide removal process much easier and faster. These are not painter hence there is no danger of the paint flakes coming out with usage over time. Once you install the tool and put on the slide it becomes a very light combination to be used. These slides do not fit into a few models like G-43. G-42 and G-36. These stainless steel tools are machine manufacturers and are not polished and lack shine which makes them dull in appearance. You will have to time and again remove it for cleaning purposes. Glock pistols were earlier criticized a few times owing to its plastic body. Later on with the up gradation of the product and the invention of the amazing Glock accessories, these pistols started getting accepted worldwide with rapidity. The accessories mentioned and reviewed above are one of the best Glock accessories. You can go through the pros and cons of the products and easily decide the one suiting your needs and pistol. But before choosing the correct accessory to fit in your pistol it is extremely important that you know your gun well. If you are not familiar enough with your pistol it might as well happen that you end up picking the incorrect accessory.